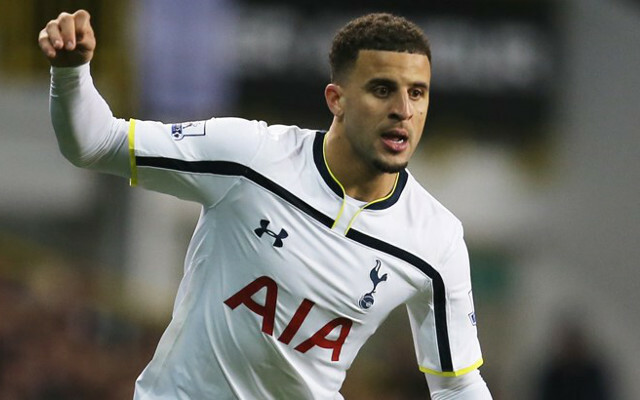 Kyle Walker has dealt Tottenham Hotspur’s hopes of qualifying for Europe next season a setback after it was revealed that he is set to be sidelined for at least a further month, the club has revealed. The England defender hasn’t played since limping out of the goalless draw with Burnley at Turf Moor a fortnight ago and is now set to miss the game against Southampton at the weekend, while chances of him playing again this campaign appear slim-to-none. Spurs have an outside chance of finishing in the top-four this year as they currently trail Manchester City, who currently occuppy the final Champions League spot, by seven points with just five games to play and they welcome City to White Hart Lane at the beginning of next month. Given how poor Manuel Pellegrini’s side have been away from home of late, it is possible that the North London outfit could still finish above last season’s Premier League winners but it is more likely that they will have to settle for a spot in the Europa League meaning they will need to finish in the top-six.